Massey University is made up of more than 33,000 students spread across its three campuses in Wellington, Manawatu and Auckland. Students are an integral part of the makeup of the university and on each campus a small group of student representatives are elected every year to ensure students well-being and needs are met. 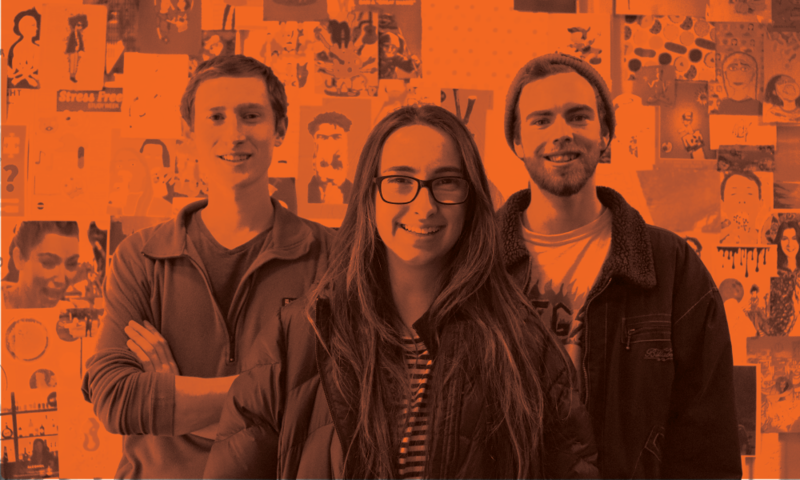 Heading into the second semester of the year, Massive Magazine talks to Massey University’s three student Presidents, on each of its campuses, about their roles and the hard work they are completing on a day-to-day basis behind the scenes. In Palmerston North Benjamin Schmidt and his team of Executives are busy gearing up for the second half of the year. Schmidt is no stranger to student politics, having served as a volunteer for the Massey University Students’ Association (MUSA) in his first year at university. In his second year he took up the role of Welfare Officer and from there it was an easy transition into presidency. Unlike Presidents on Massey’s sister campuses, the MUSA President’s role is full-time, although Schmidt is still picking up some papers each semester while he works away at his degree. Schmidt says he is thrilled with the great work the Executive has already achieved so far this year. This year, MUSA has been able to provide free food to students on campus through Just Zilch, a local free store. They are also working with the Horizons Regional Council to see later bus services offered to students who are working from campus. Unfortunately, it hasn’t been all positives for Schmidt who continues to express a disappointment in Massey University surrounding issues with its online management system. Masseys student management system (SMS) made headlines earlier this year after students were left locked out of courses and unable to enrol. He says they were however, able to turn this negative into a positive. Schmidt says health and wellbeing and financial hardship continue to be the major issues plaguing students in 2018. “Health and counselling services on campus are under staffed and students have to wait too long. And that is the role of the student Executive, to be a strong and effective voice for students. And that is Schmidt’s goal, to be heard more so than ever before. “I want to be more vocal than we have been in the past, stick with our kaupapa and improve our engagement. “We need to be engaged with students,” says Schmidt. “Every single student on campus should know what MUSA does. Unlike Schmidt, Albany Students’ Association (ASA) President Jason Woodroofe is new to student politics. This is his first year on the association (in an interview with Massive last year he says he decided to run to try and solve issues the association was facing). Woodroofe says the year has been a roller coaster, and it’s an experience he wouldn’t trade in. “This year has an amazing learning experience, not without its challenges and difficult times, but worth it for sure,” he says. Despite having only been in a leadership role for a year, Woodroofe is passionate when it comes to explaining its importance. “Student representation in universities is so important for so many reasons. “You only need to look at how much students pay to study each year to realise that we are the primary stakeholders in tertiary education. We fund it, so we should have a say in how it works, it really is as simple as that. Like his colleagues Woodroofe is concerned about financial hardships that students face in 2018. Woodroofe says the team at ASA are working hard to continually improve budgeting workshops and welfare advocacy for students. “It’s a lot of pressure to manage personal finances for many students, especially if this is their first time living away from home. Woodroofe says he was pleased the university considered students’ voices when it came to making decisions around the College of Science’s strategic plan. “The team at ASA, as well as so many other staff, students and industry stakeholders worked really hard to ensure students’ voices were heard, so it was awesome to see that students were so strongly considered in the final strategy,” he says. Emma Pearce was elected as the Massey at Wellington Students’ Association President after a high energy campaign against rival and fellow 2017 Executive member Jack Mayo. Pearce has always had a keen interest in student politics and student well-being. She was a Residential Advisor at a student hall in Wellington and ran for the University Council in 2016 (she lost to David McNab, who is also President of the Massey University Extramural Students’ Society). “So far, this year has been incredible,” says Pearce. “The job wasn't what I thought it was going to be, but the challenges I've faced alongside my exec have been so much fun. This year a big focus for Pearce and her team has been encouraging lecturers and students to take more interest in the class representative programme. Currently it is not compulsory for lecturers to nominate a class representative and this is something Pearce, her Executive and MAWSA staff want to change. Pearce says there are a plethora of issues facing students in 2018, from flatting issues with dodgy landlords, mouldy flats, and not being able to afford living costs, to mental health issues. “From the University itself, there is an emphasis placed on grades and academic success,” she says. “Though it's a justified focus as that's one of the primary focuses of a university, there needs to be more of a focus on student wellbeing, and student's happiness. For this reason, Pearce says the Executive have tried to focus on participating in projects that will have a positive impact on the overall student experience. “Projects such as Wellness Wednesdays and the Don’t Guess the Yes campaign are helping to contribute to this,” she says. For anyone eyeing up Pearce’s job next year, she says the Presidency is really what you make of it. “It's exciting, scary, but loads of fun with a team behind you that only want the best for you and to see you succeed. She says the role of student Executive is vital. “The University would be nothing without its students,” she says. “Massey needs us to be the institution it is, it only makes sense that you cater any changes to the students’ needs.